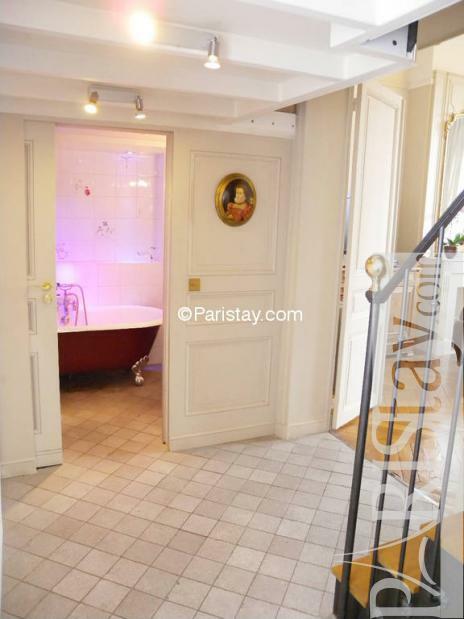 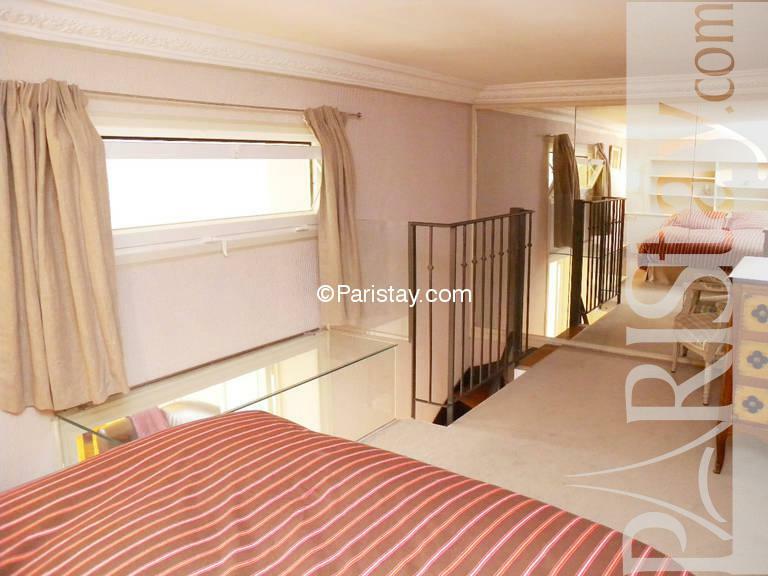 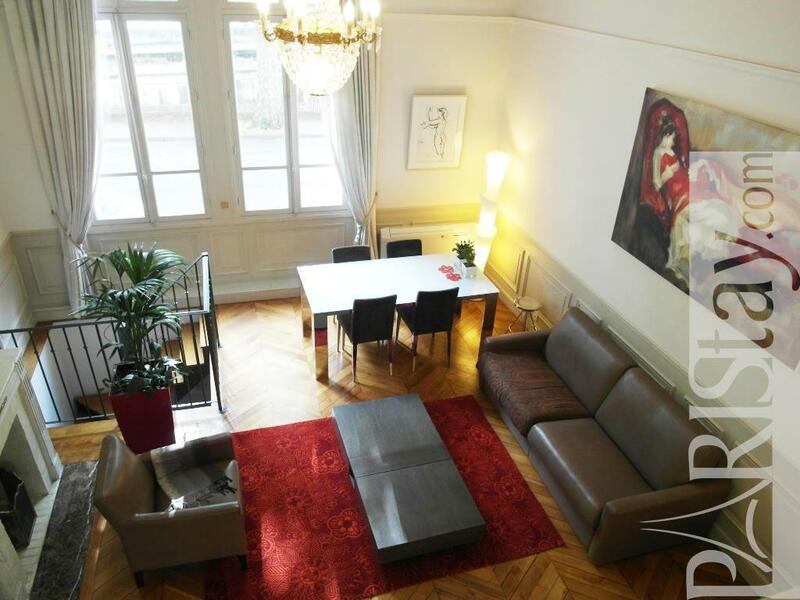 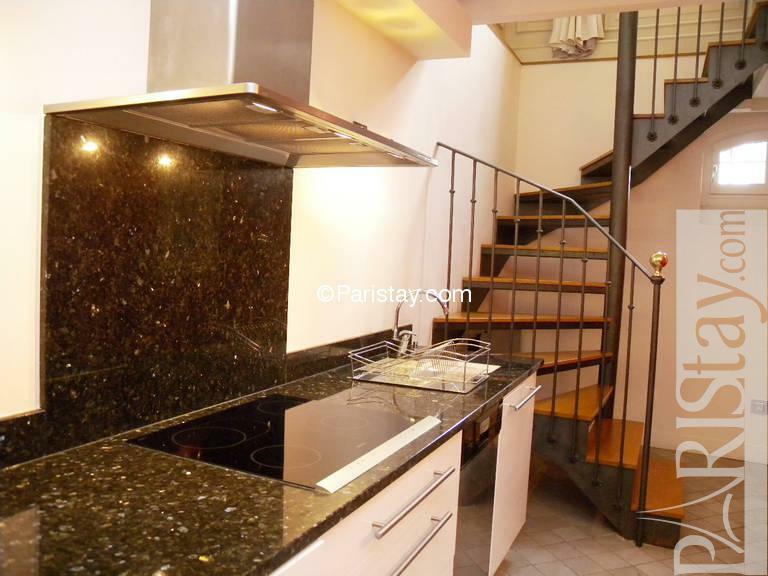 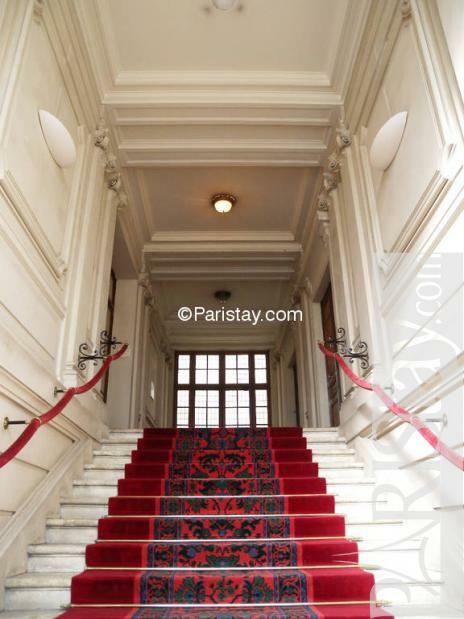 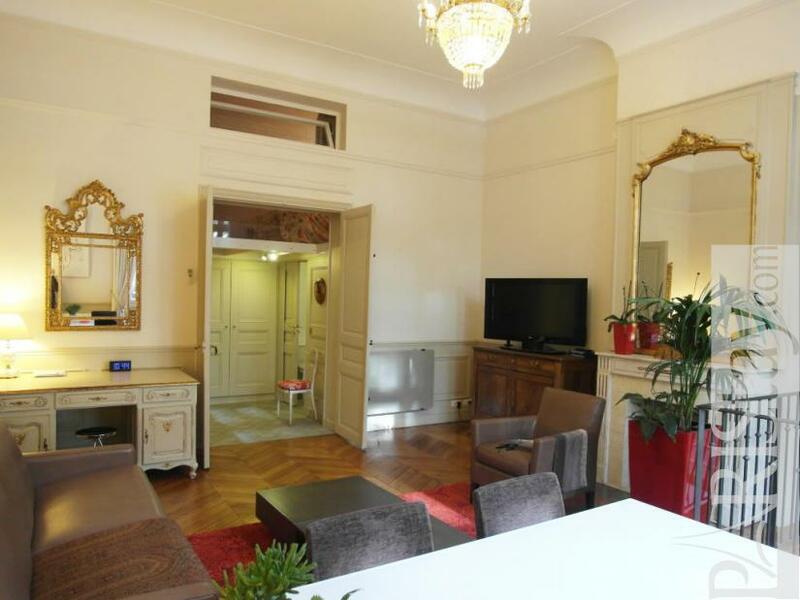 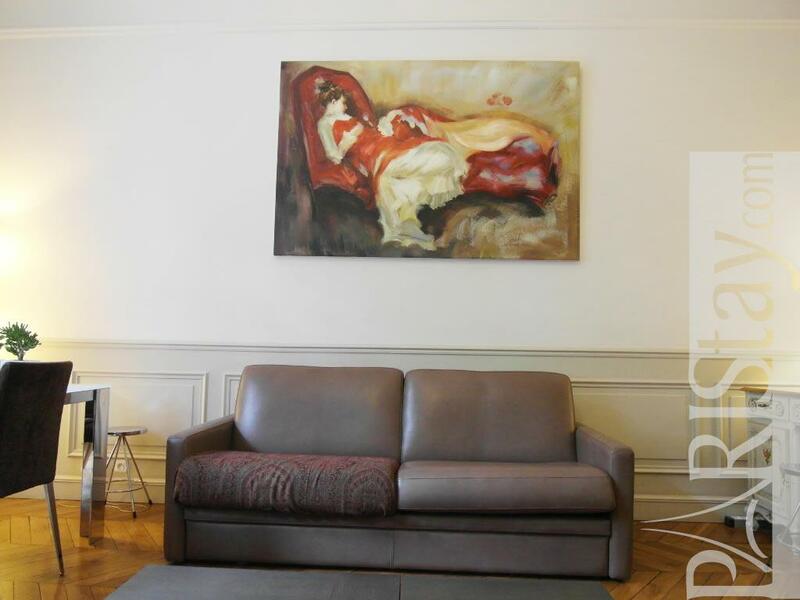 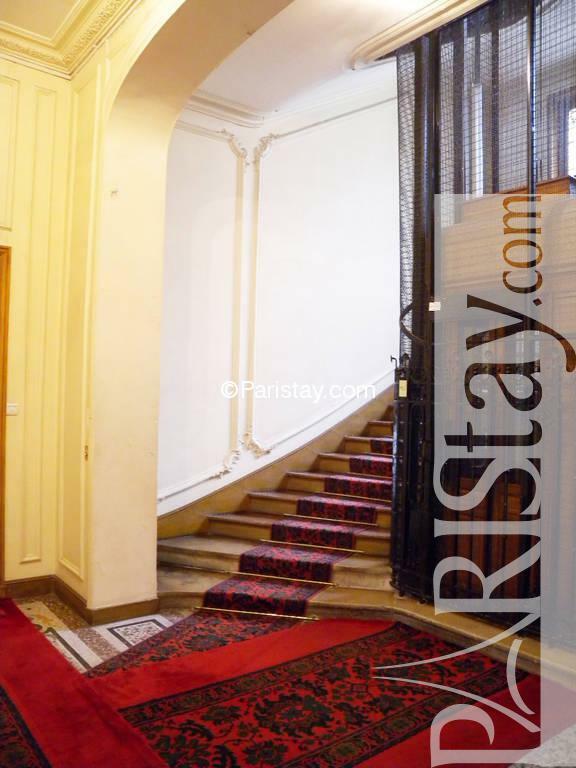 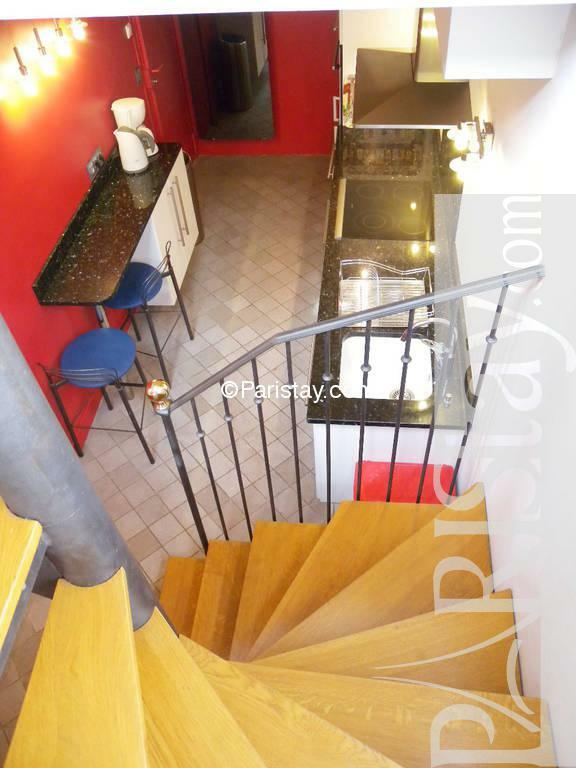 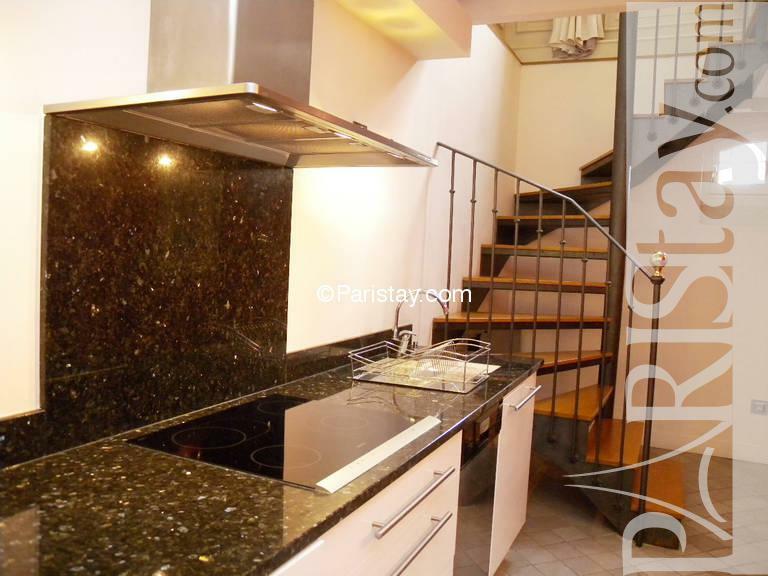 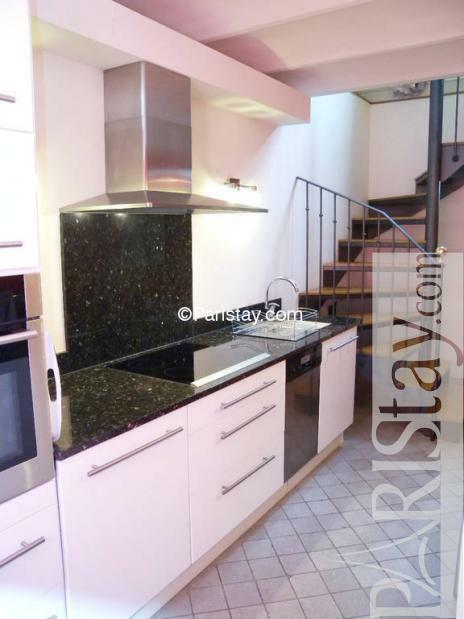 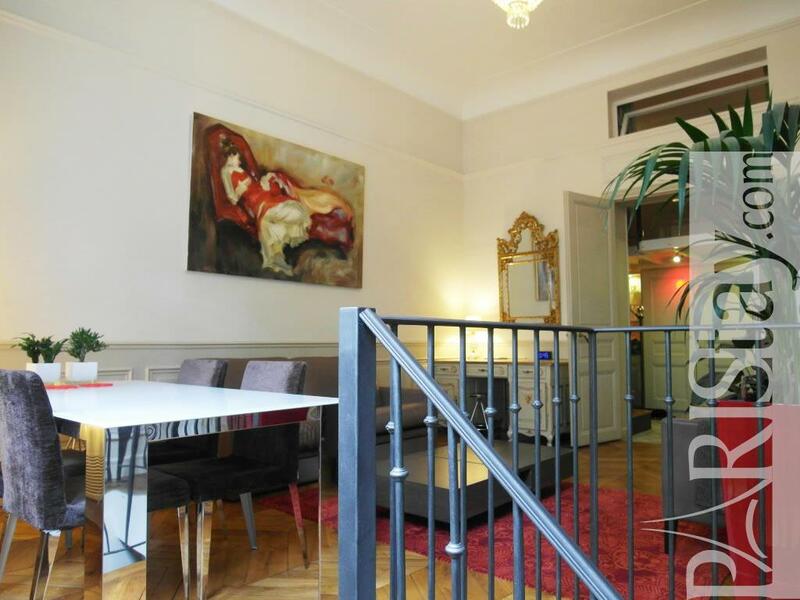 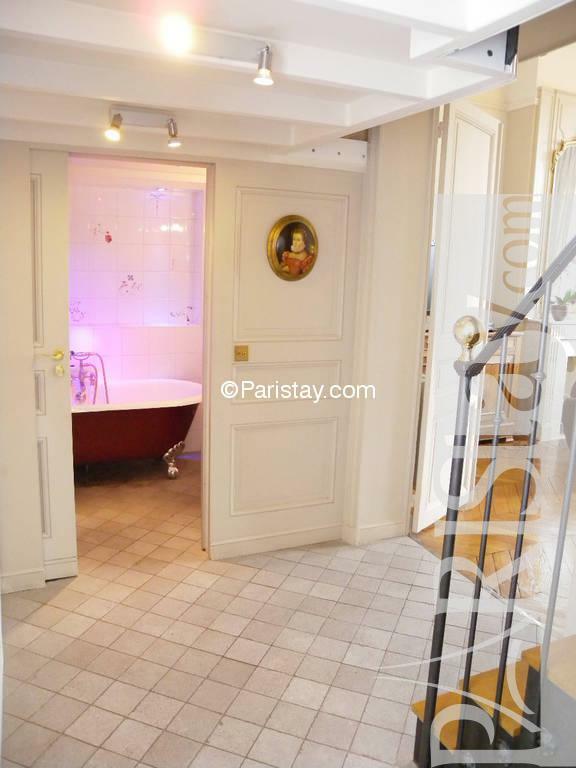 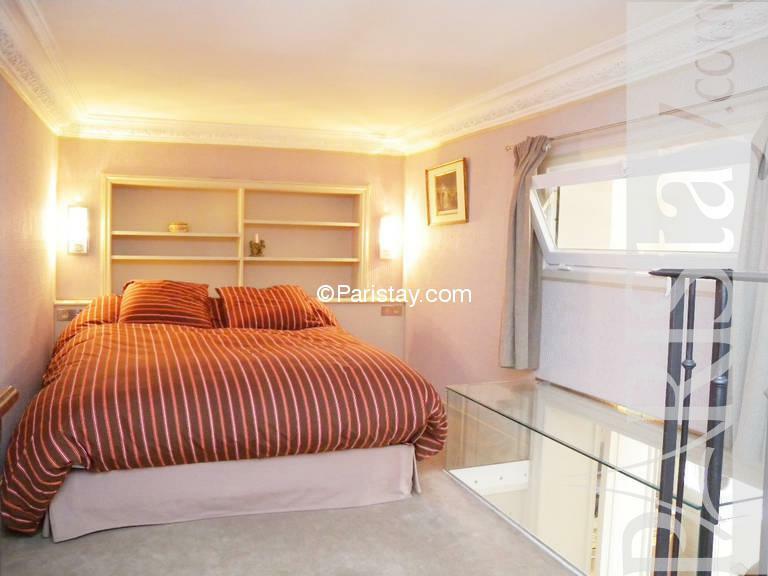 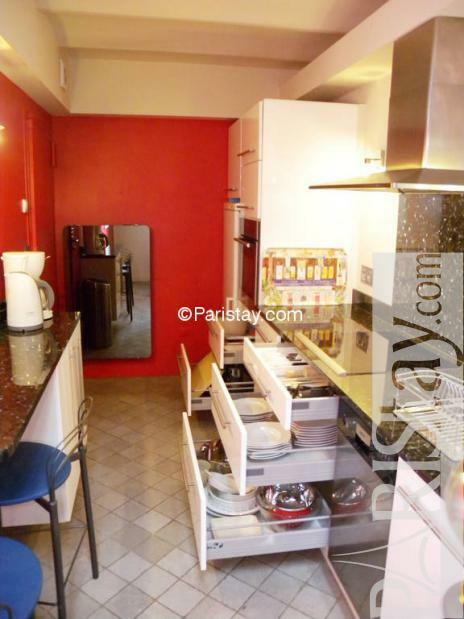 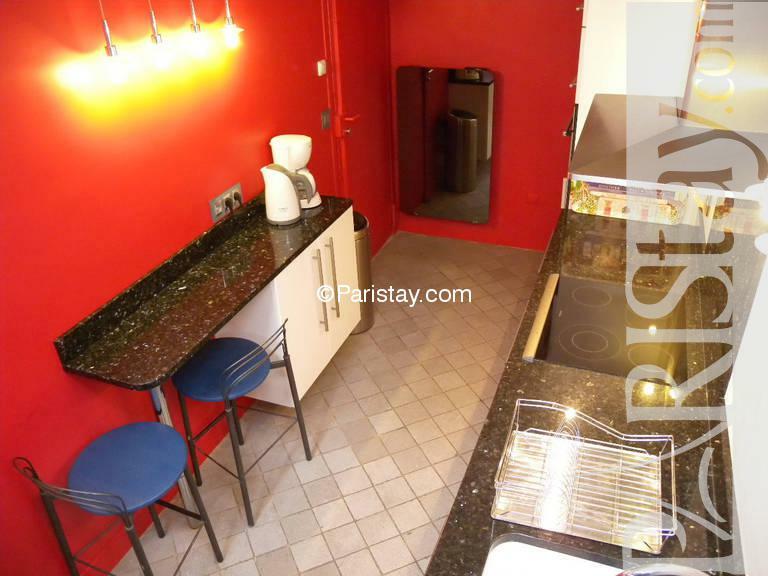 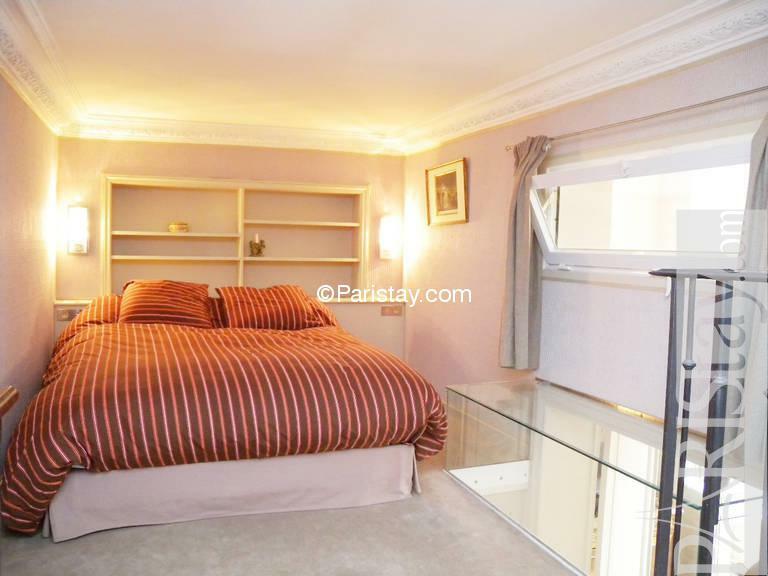 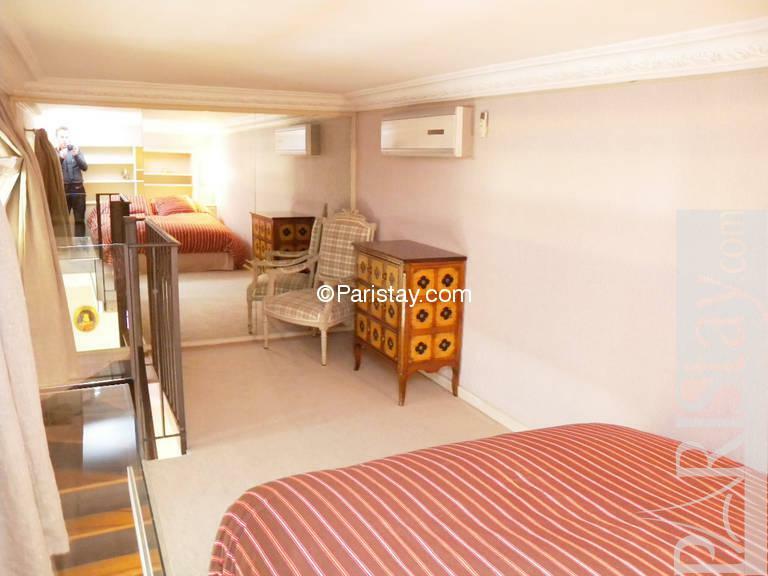 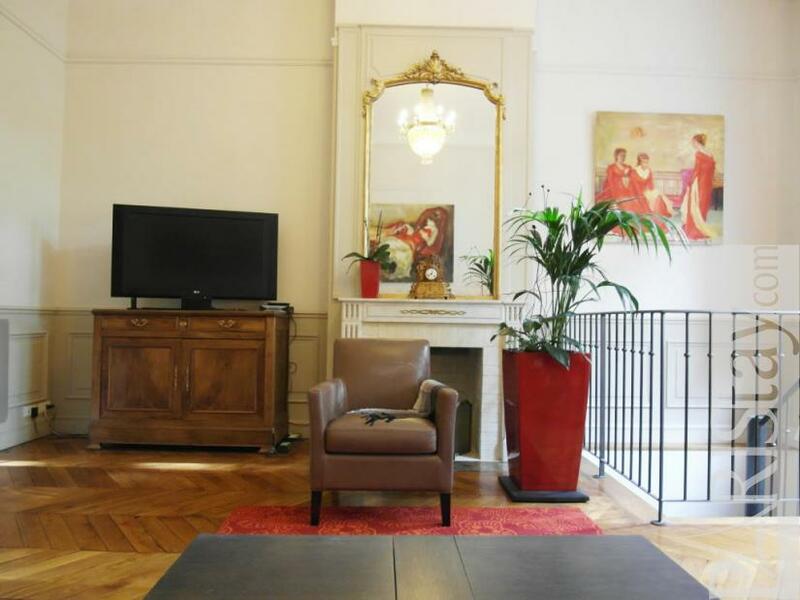 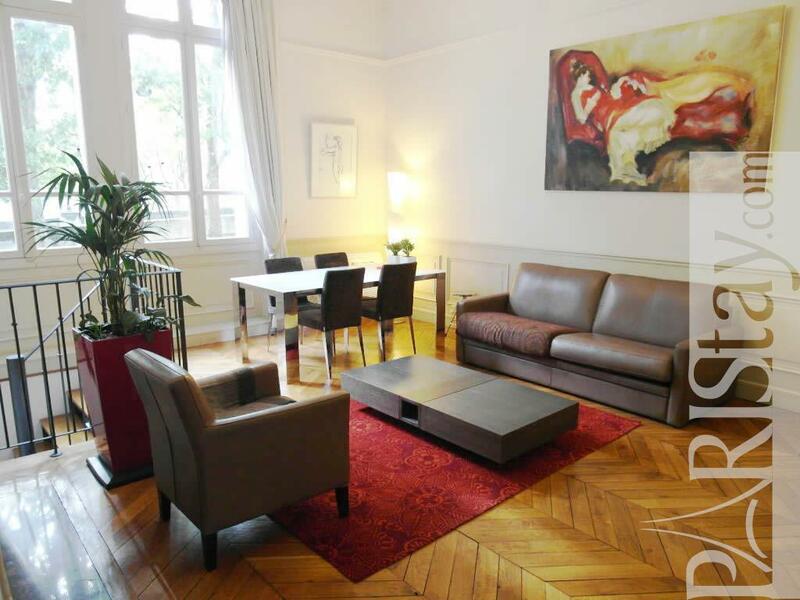 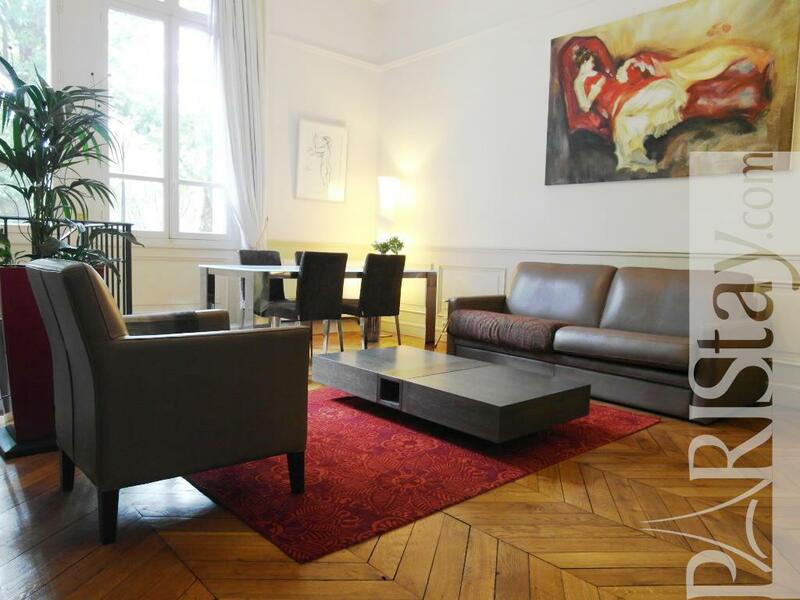 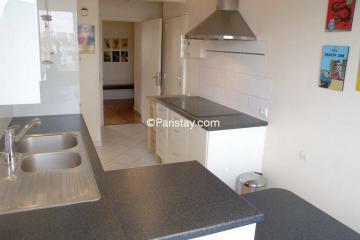 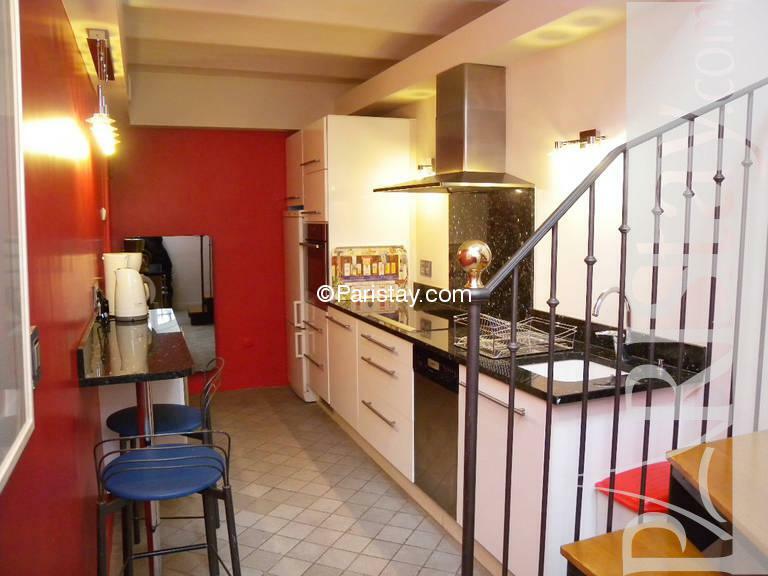 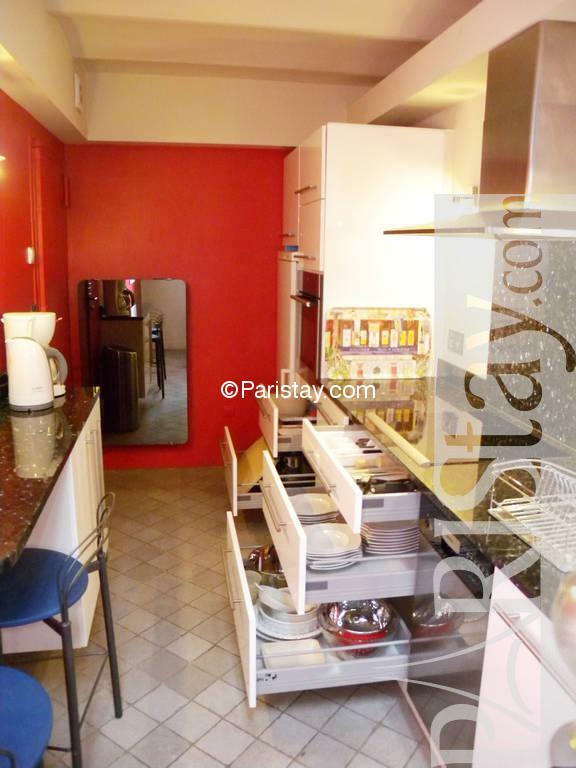 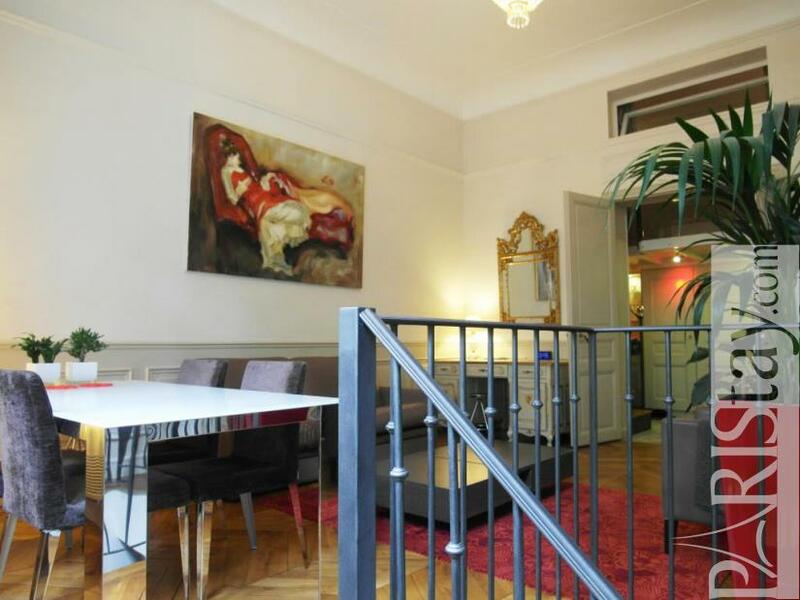 Spacious Paris one bedroom apartment, it's a two-story located on the first floor (you will go up few steps on a red carpet and you will find the apartment on the ground floor). This stately Haussmanian building, constructed specially for the World Fair of 1900, nestled in the heart of the city, right by the Seine and overlooking the Eiffel Tower. 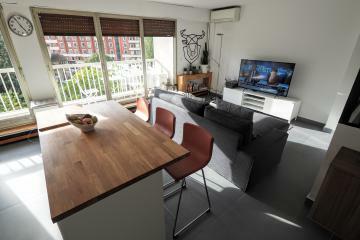 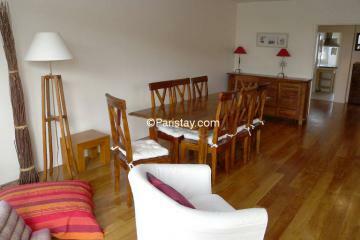 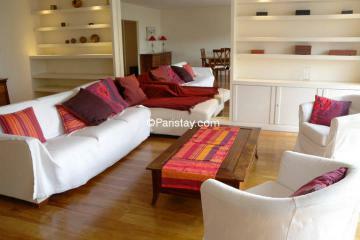 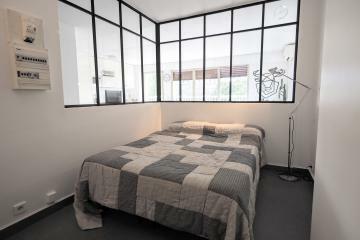 Well furnished, the apartment offers a calm and relaxing atmosphere in a bright and sunny environment. 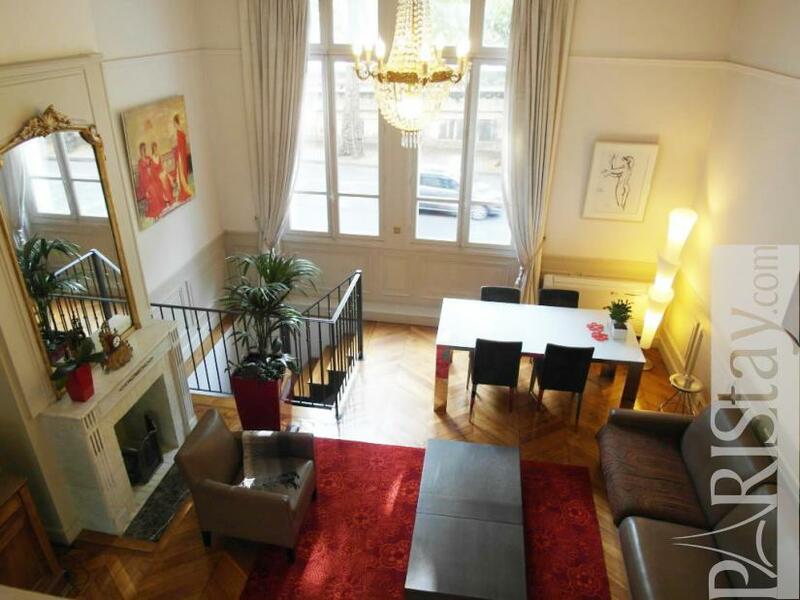 A large living room with wooden floors and window overlooking the River Seine and the Eiffel Tower. A beautiful fireplace and high ceiling. 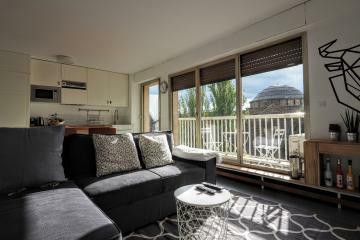 The day area offers an entrance which acts as a dressing room, a large living room with a double sofa bed, a dining area with a table for 6, a desk and a separate eat-in kitchen, fully equipped with all necessities including a microwave oven and a dishwasher. 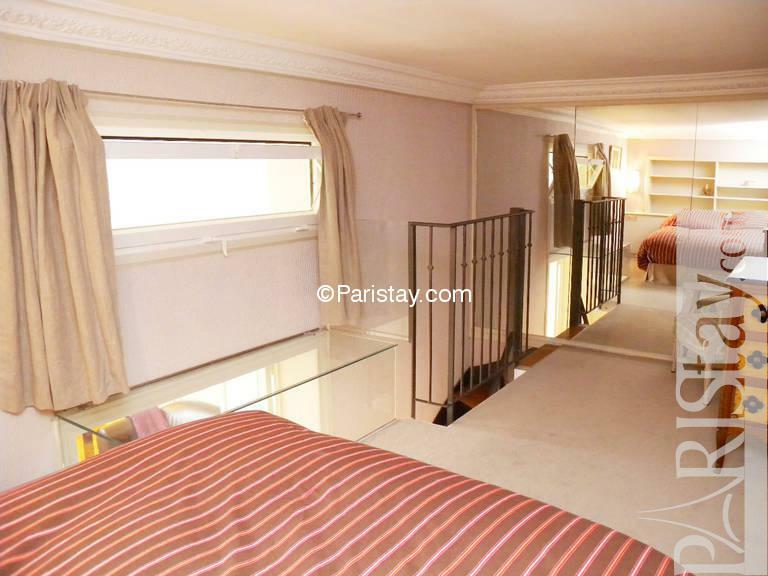 The night area offers a bedroom with a large, comfortable double bed. 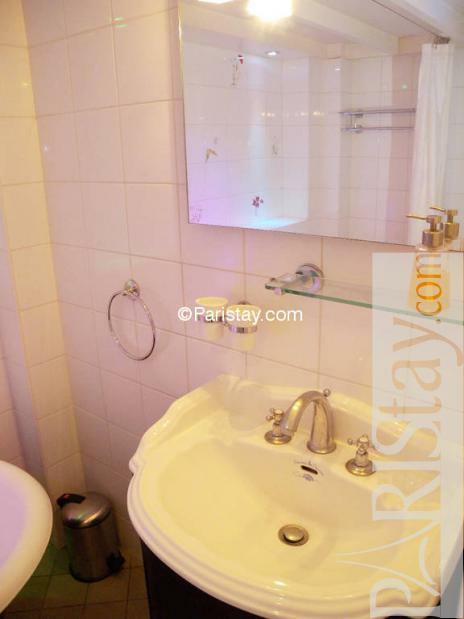 The bathroom is fitted with a bathtub with overhead shower. 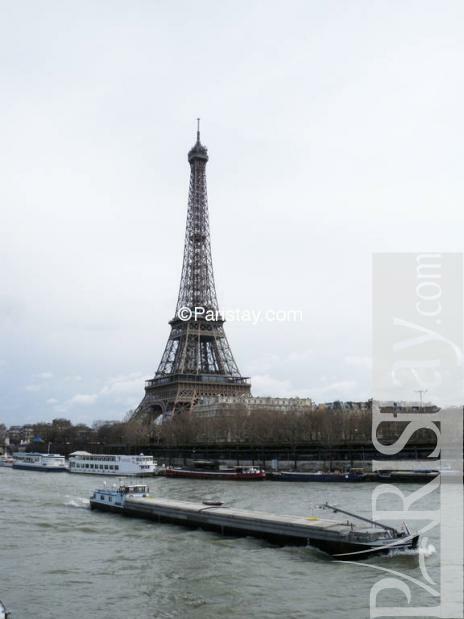 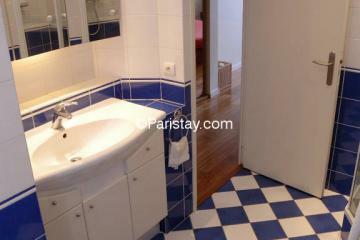 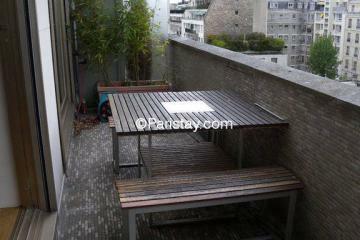 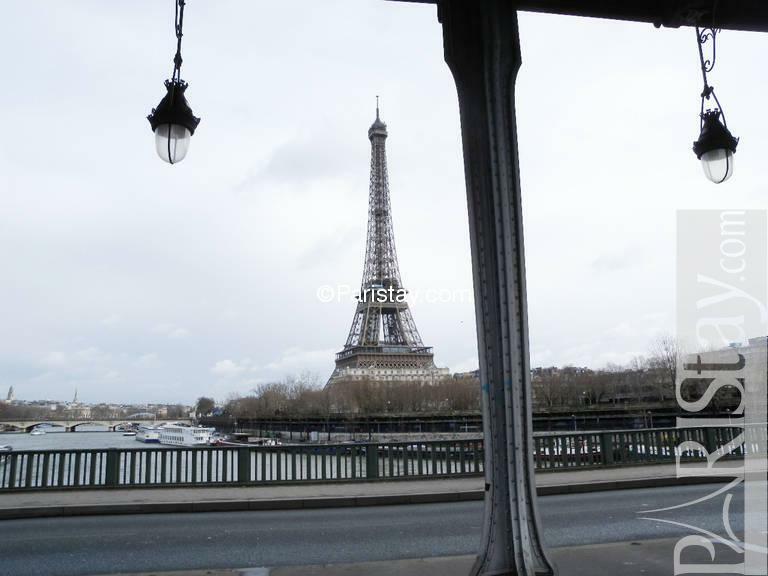 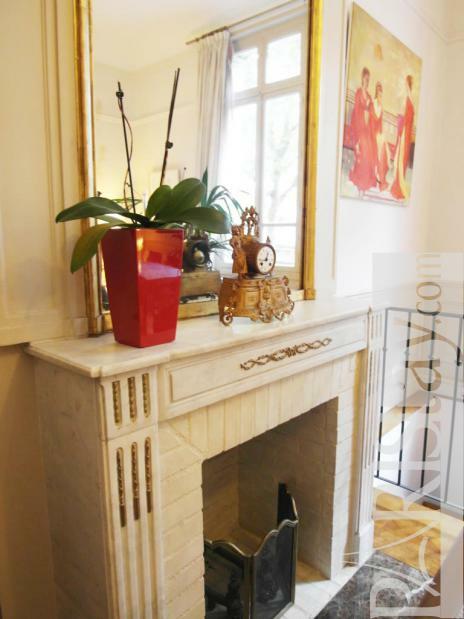 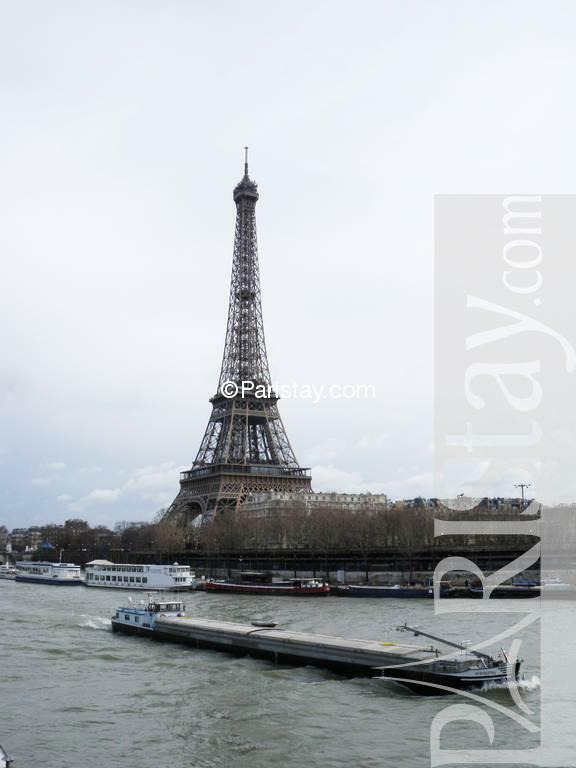 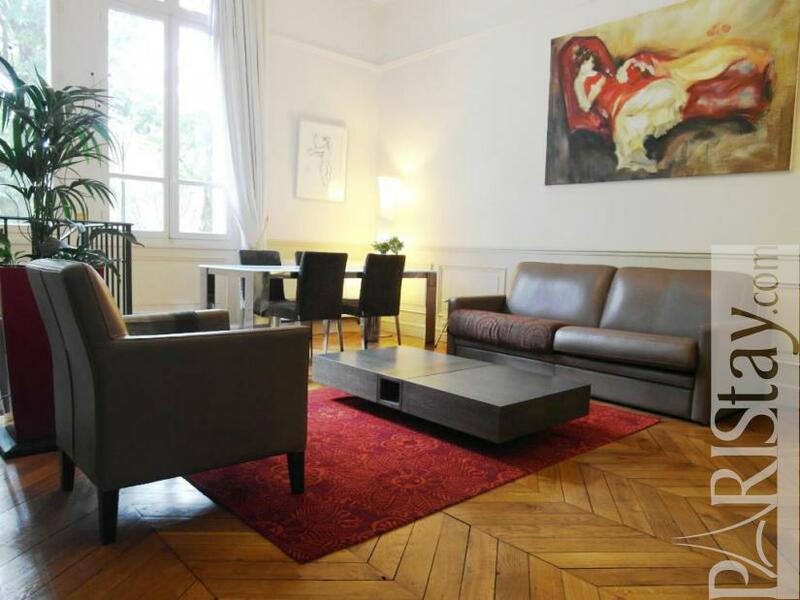 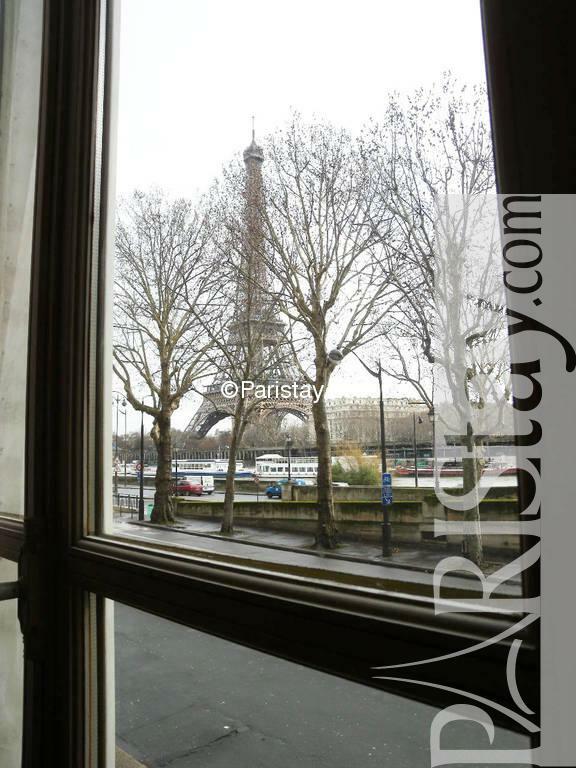 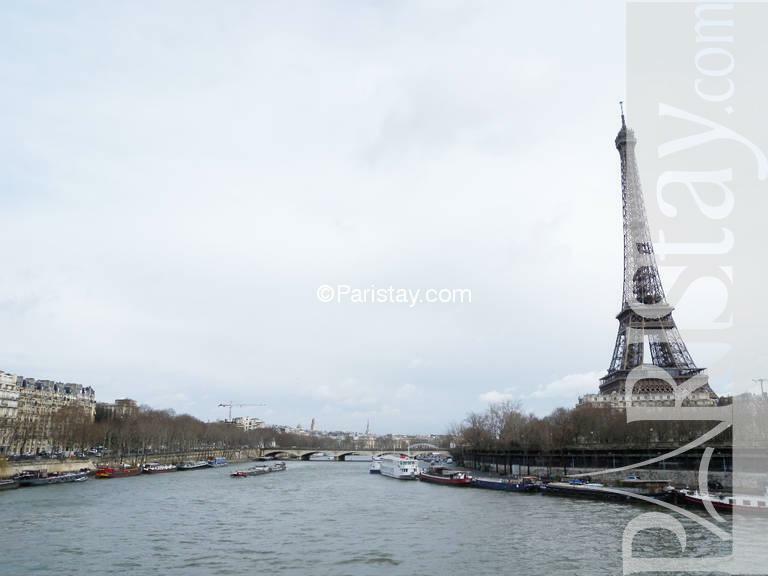 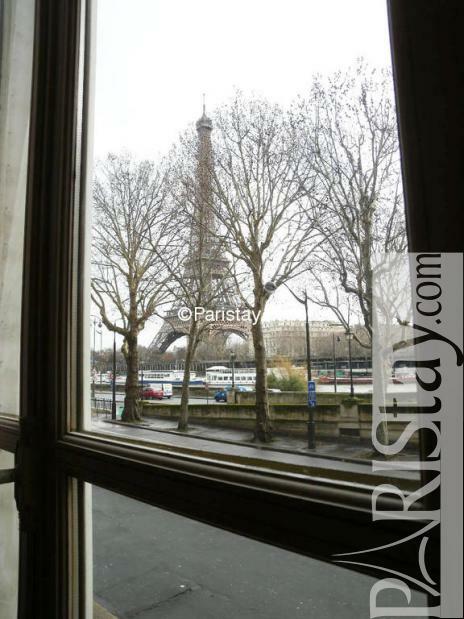 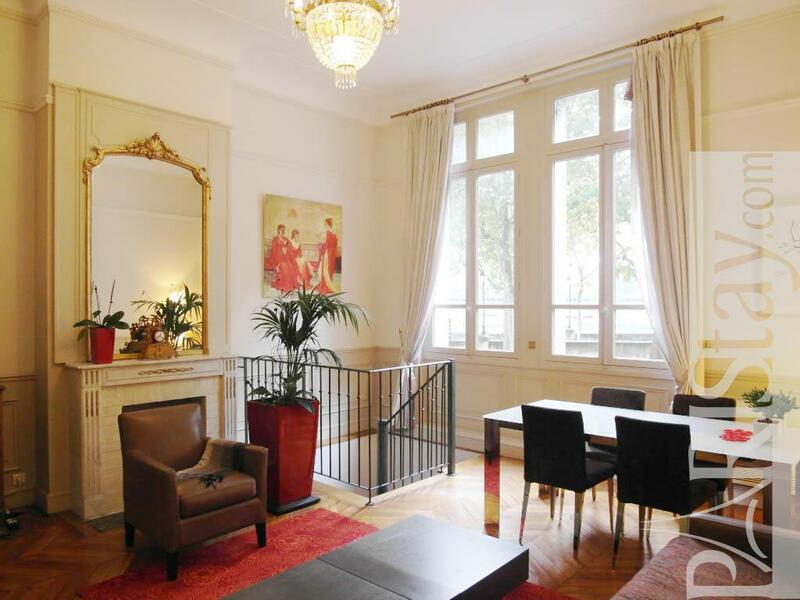 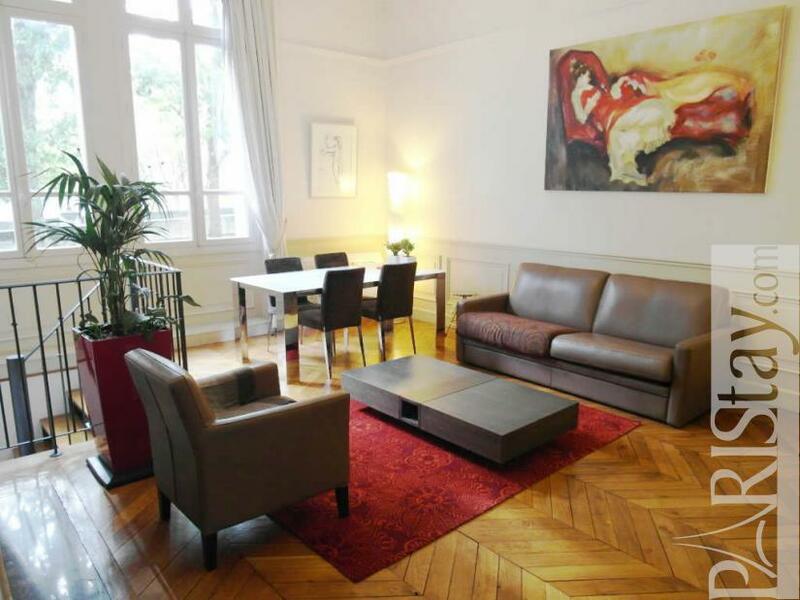 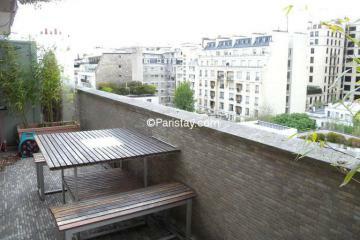 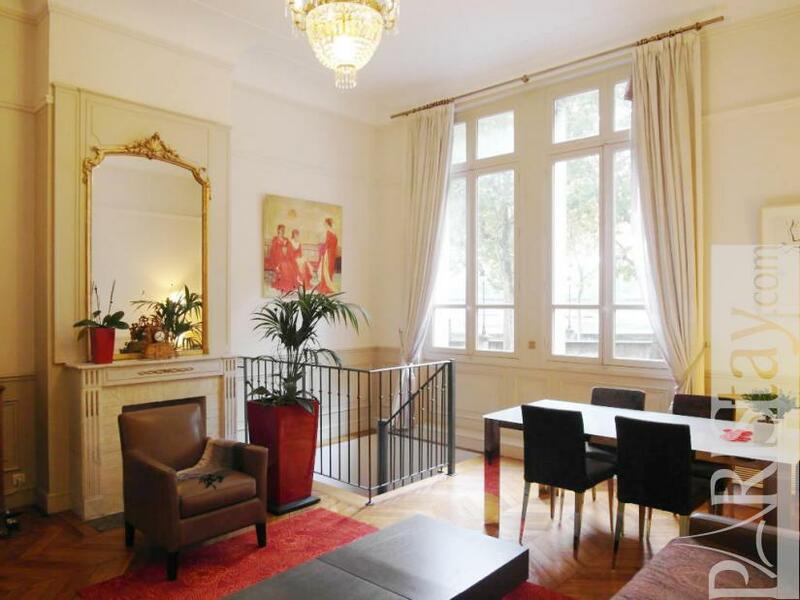 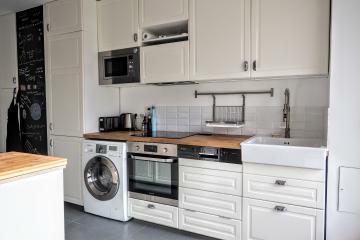 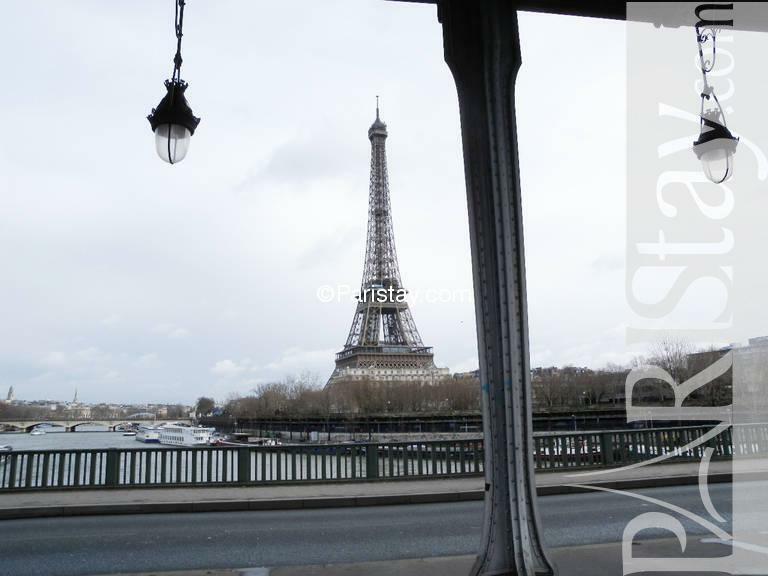 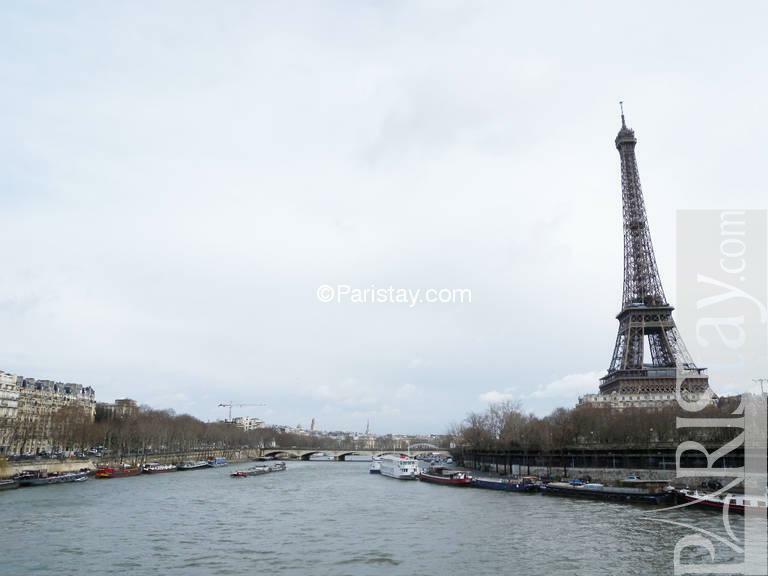 Perfect for a short term rental in Paris the appartment is located on the banks of the Seine of the stylish 16th arrondissement. 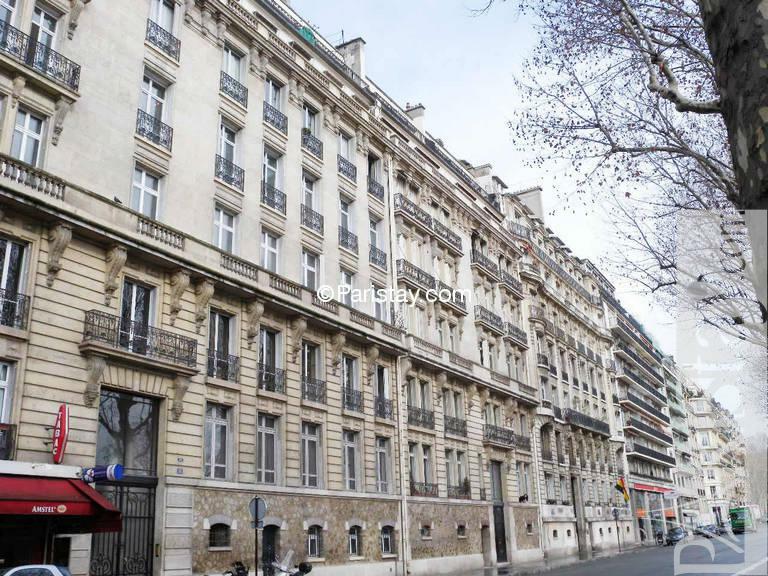 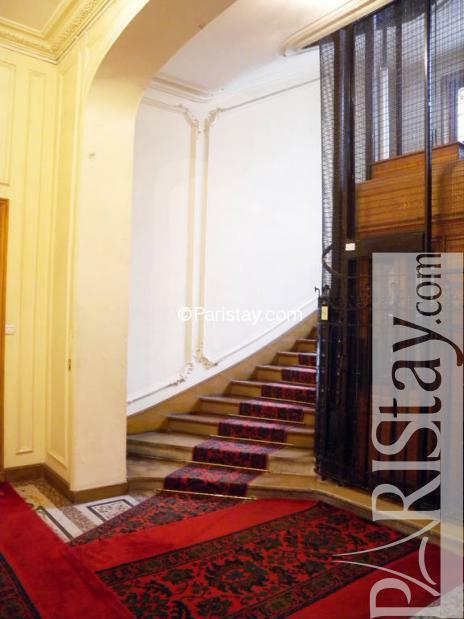 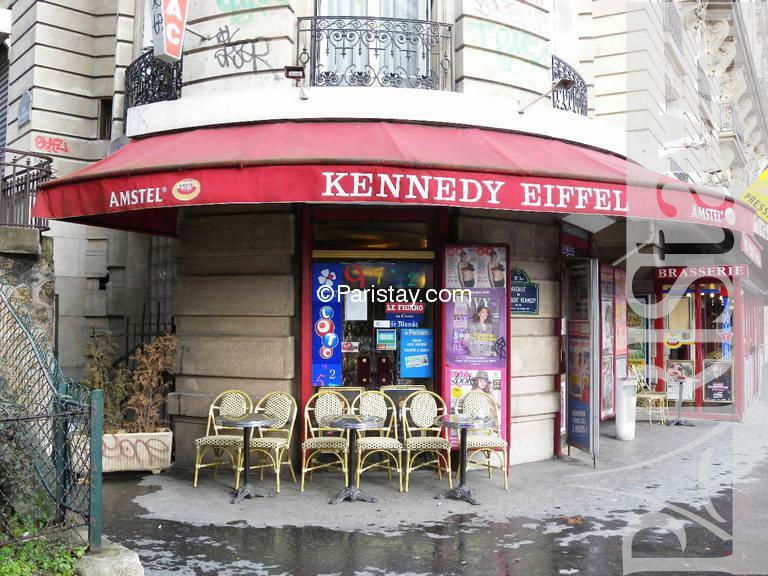 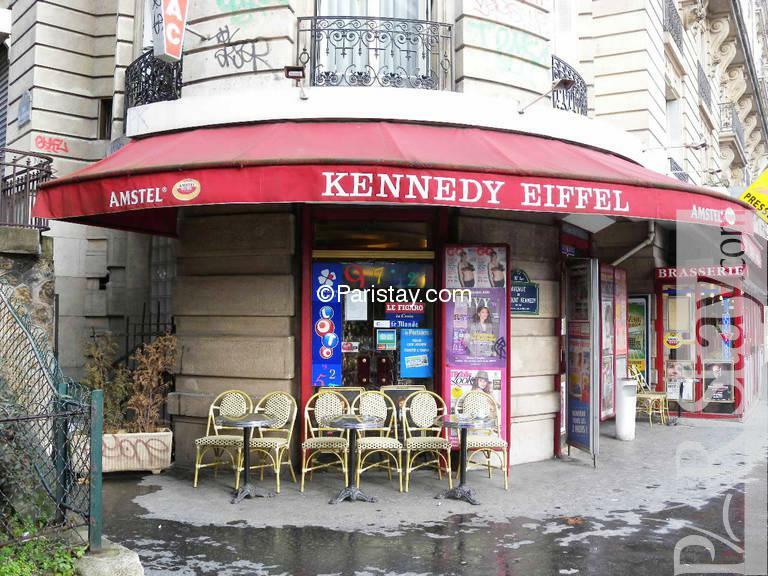 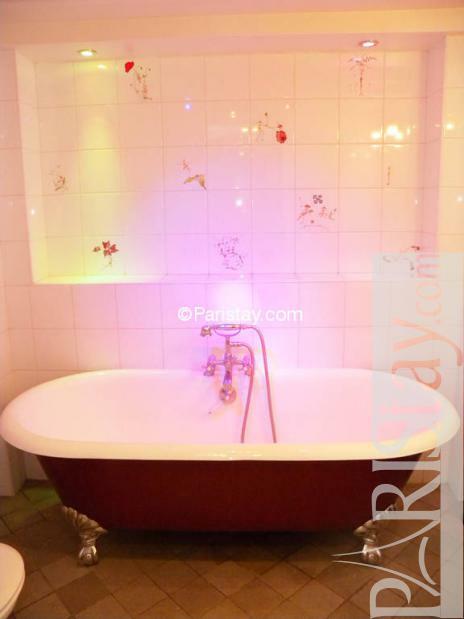 1880's Building, ground floor, without Lift, entry code security system, 1 bedroom Appartement, furnished, Approx: 67m² / 720 Sq.Ft.